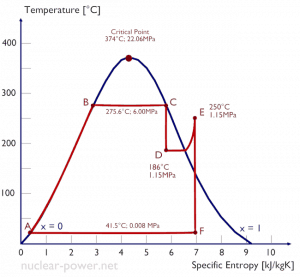 In thermodynamics, the enthalpy is the measure of energy in a thermodynamic system. 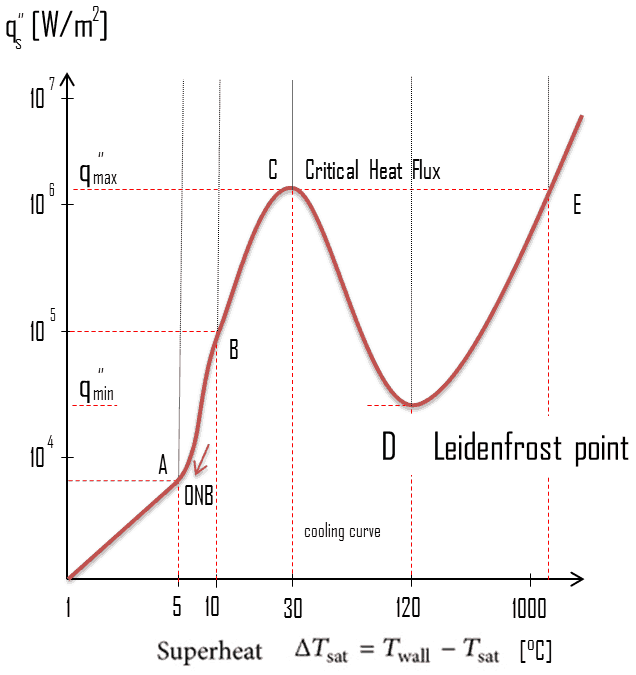 It is the thermodynamic quantity equivalent to the total heat content of a system. 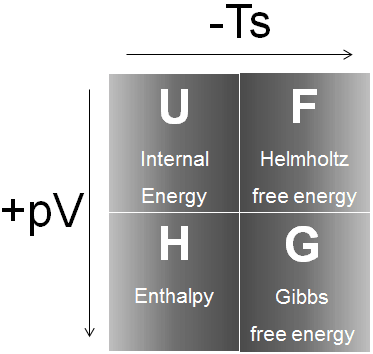 The enthalpy is defined to be the sum of the internal energy E plus the product of the pressure p and volume V. In many thermodynamic analyses the sum of the internal energy U and the product of pressure p and volume V appears, therefore it is convenient to give the combination a name, enthalpy, and a distinct symbol, H.
The enthalpy is the preferred expression of system energy changes in many chemical, biological, and physical measurements at constant pressure. It is so useful that it is tabulated in the steam tables along with specific volume and specific internal energy. It is due to the fact, it simplifies the description of energy transfer. 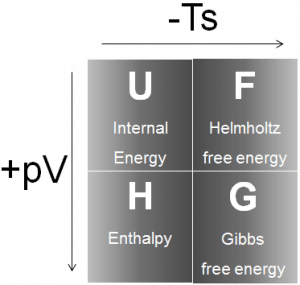 At constant pressure, the enthalpy change equals the energy transferred from the environment through heating (Q = H2 – H1) or work other than expansion work. 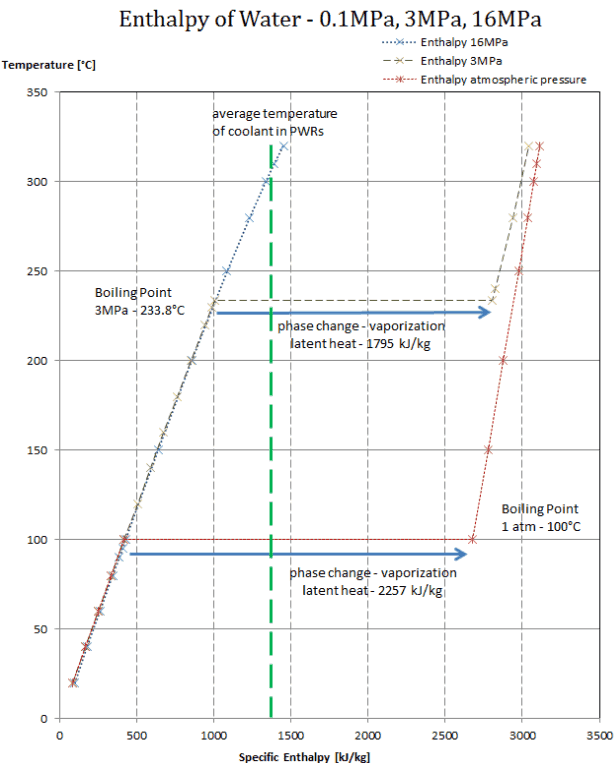 For a variable-pressure process, the difference in enthalpy is not quite as obvious. Enthalpy is an extensive quantity, it depends on the size of the system, or on the amount of substance it contains. The SI unit of enthalpy is the joule (J). It is the energy contained within the system, excluding the kinetic energy of motion of the system as a whole and the potential energy of the system as a whole due to external force fields. 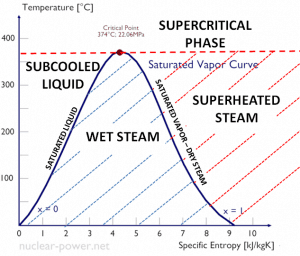 It is the thermodynamic quantity equivalent to the total heat content of a system. 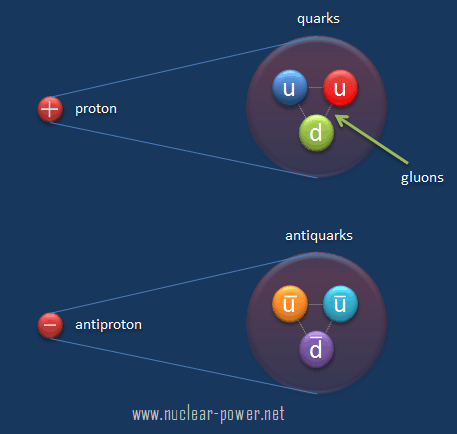 On the other hand, energy can be stored in the chemical bonds between the atoms that make up the molecules. This energy storage on the atomic level includes energy associated with electron orbital states, nuclear spin, and binding forces in the nucleus. 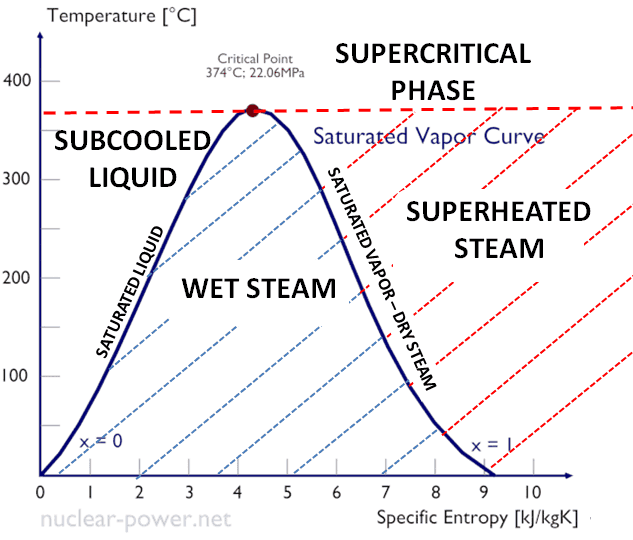 Enthalpy is represented by the symbol H, and the change in enthalpy in a process is H2 – H1. 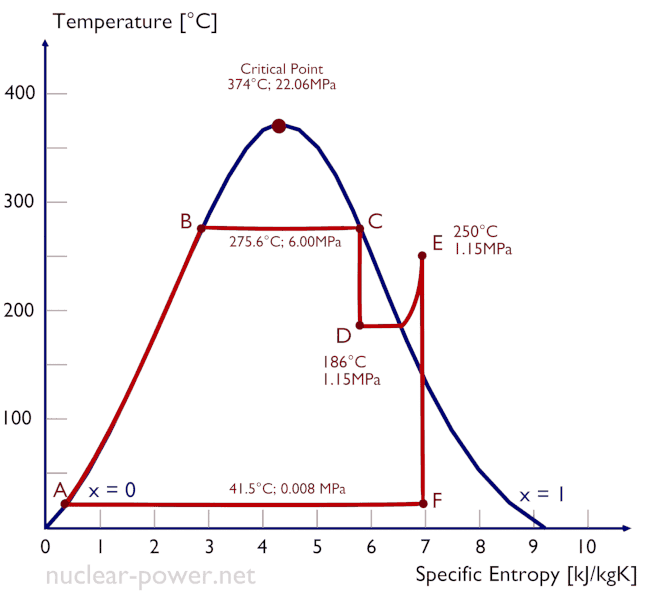 The first law of thermodynamics in terms of enthalpy show us, why engineers use the enthalpy in thermodynamic cycles (e.g. Brayton cycle or Rankine cycle). 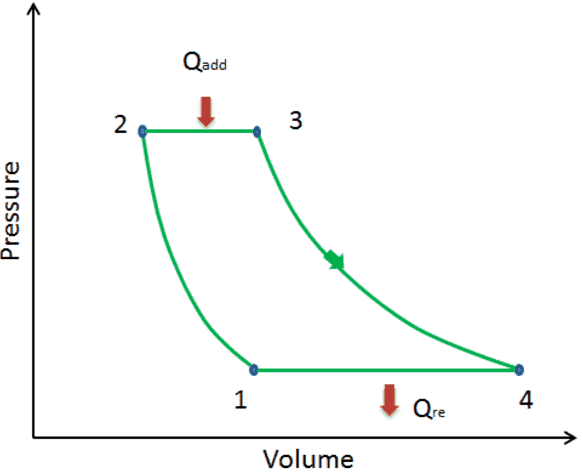 Boundary work occurs because the mass of the substance contained within the system boundary causes a force, the pressure times the surface area, to act on the boundary surface and make it move. 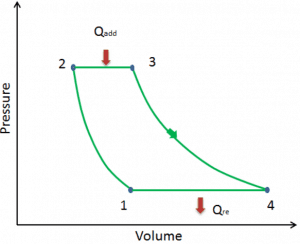 Boundary work (or pΔV Work) occurs when the volume V of a system changes. It is used for calculating piston displacement work in a closed system. 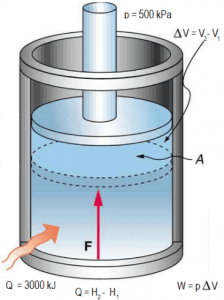 This is what happens when steam, or gas contained in a piston-cylinder device expands against the piston and forces the piston to move. 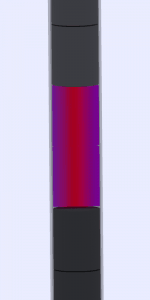 Temperature field inside a fuel rod. As was written, the enthalpy is one of thermodynamic potentials and represents a measure of energy in a thermodynamic system. 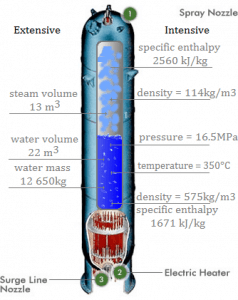 Enthalpy is an extensive quantity, it depends on the size of the system, or on the amount of substance it contains. 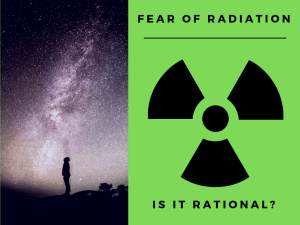 Enthalpy of nuclear fuel is also used as an acceptance criterion in very specific types of accidents, known as reactivity initiated accidents (RIA), such as Rod Ejection Accidents. RIAs consist of postulated accidents which involve a sudden and rapid insertion of positive reactivity. As a result of rapid power excursion, fuel temperatures rapidly increase, prompting fuel pellet thermal expansion. 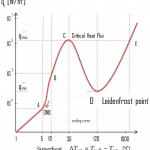 The power excursion is initially mitigated by the fuel temperature coefficient (or Doppler feedback), which will be the first feedback, that will compensate the inserted positive reactivity. In these accidents, the large and rapid deposition of energy in the fuel can result in melting, fragmentation, and dispersal of fuel. 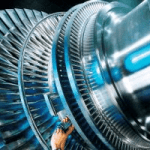 The mechanical action associated with fuel dispersal can be sufficient to destroy the cladding and the rod-bundle geometry of the fuel and produce pressure pulses in the primary system. The expulsion of hot fuel into water has potential to cause rapid steam generation and these pressure pulses, which could damage nearby fuel assemblies. Limits on specific fuel enthalpy are used, because the experimental tests show that degree of fuel rod damage correlates well with the peak value of fuel pellet specific enthalpy. Peak radial average fuel enthalpy must remain below 230 cal/g. Above this enthalpy, hot fuel particles might be expelled from a fuel rod. 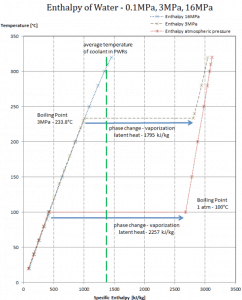 Peak fuel temperature must remain below incipient fuel melting conditions. 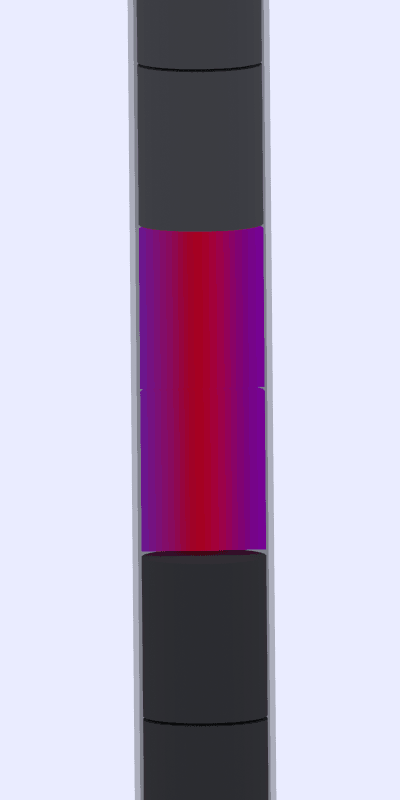 The high cladding temperature failure criteria for zero power conditions is a peak radial average fuel enthalpy greater than 170 cal/g for fuel rods with an internal rod pressure at or below system pressure and 150 cal/g for fuel rods with an internal rod pressure exceeding system pressure. 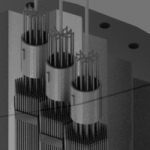 The PCMI failure criteria is a change in radial average fuel enthalpy greater than the corrosion-dependent limit depicted in Appendix B of the Standard Review Plan, Section 4.2. As can be seen, the fuel specific enthalpy, i.e. the enthalpy per unit mass of the fuel pellet material, is therefore a fundamental parameter in discussions of reactivity initiated accidents. Fuel cladding failure may occur almost instantaneously during the prompt fuel enthalpy rise (due to PCMI) or may occur as total fuel enthalpy (prompt + delayed), heat flux, and cladding temperature increase. For the purpose of calculating fuel enthalpy for assessing PCMI failures, the prompt fuel enthalpy rise is defined as the radial average fuel enthalpy rise at the time corresponding to one pulse width after the peak of the prompt pulse. For assessing high cladding temperature failures, the total radial average fuel enthalpy (prompt + delayed) should be used. Special Reference: US NRC. 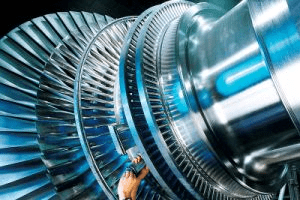 Standard Review Plan – NUREG-0800. 4.2 FUEL SYSTEM DESIGN. Revision 3 – March 2007. Special Reference: OECD Nuclear Energy Agency State-of-the-art Report, “Nuclear Fuel Behaviour under RIA Conditions”, 2010. Special Reference: Peter Rudling, Lars Olof Jernkvist. 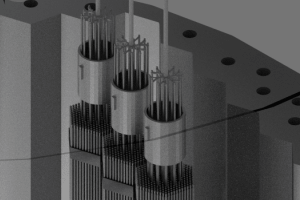 Nuclear Fuel Behaviour under RIA Conditions. Advanced Nuclear Technology International, 12/2016. The enthalpy is widely used also in chemistry. Chemical reactions are determined by the laws of thermodynamics. In thermodynamics, the internal energy of a system is the energy contained within the system, excluding the kinetic energy of motion of the system as a whole and the potential energy of the system as a whole due to external force fields. The enthalpy of a chemical reaction is defined as the enthalpy change observed in a constituent of a thermodynamic system when one mole of substance reacts completely. Since most of the chemical reactions in laboratory are constant-pressure processes, we can write the change in enthalpy (also known as enthalpy of reaction) for a reaction. The enthalpy of reaction can be positive or negative or zero depending upon whether the heat is gained or lost or no heat is lost or gained. In an endothermic reaction, the products have more stored chemical energy than the reactants. In an exothermic reaction, the opposite is true. The products have less stored chemical energy than the reactants. The excess energy is generally released to the surroundings when the reaction occurs.